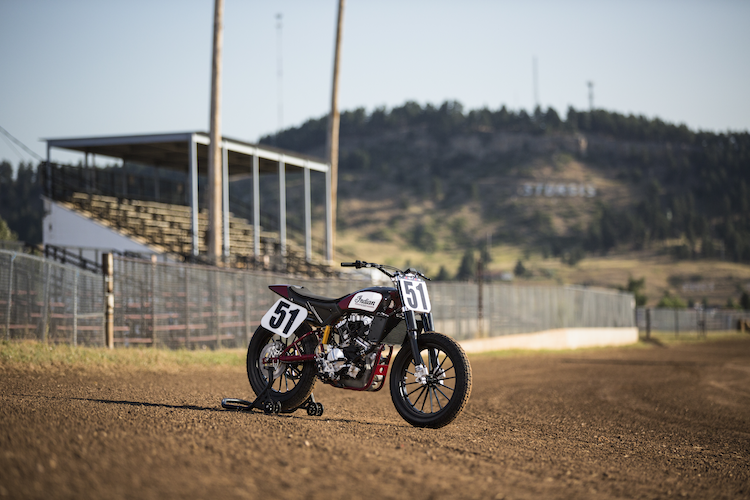 Several weeks ago, Indian Motorcycle announced its intention to return to AMA Flat Track racing with its new Scout FTR750. 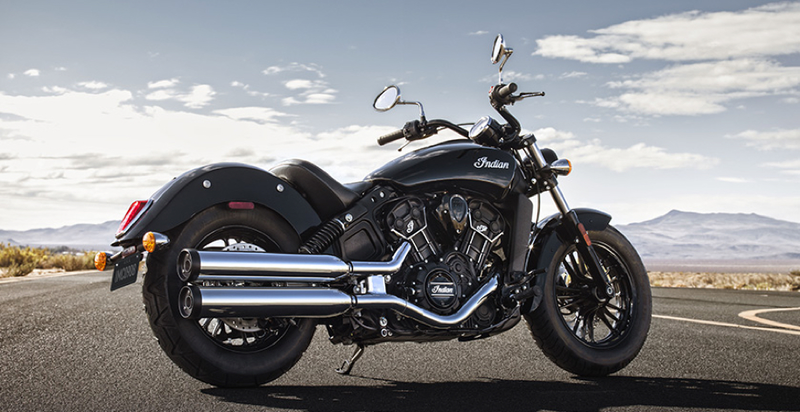 Now, the bike is ready to go, and Indian stands ready to throw its helmet into the ring. The Scout FTR750 (top) is a paired down, lighter, faster and non-road legal racing version the Indian Motorcycle Scout Sixty (below). The race-ready machine motorcycle will feature the #51 of Bill Tuman, the last rider to win a Grand National Championship on an Indian bike back in 1953. The FTR750 uses a high-revving, V-Twin engine developed in-house at Indian Motorcycle HQ in Minnesota. The power train is wrapped in a one-off steel frame and a tighter wheelbase. Finally, a large mid-bike airbox and a lightweight carbon fiber body transformed the Scout design into a dirt track racer. Somewhere with the design of the FTR750 – along with the current Indian Scout and Scout Sixty – are echoes of the Big Base Scout. That historic bike won in the equivalent of this era’s big Moto GP races down in Daytona, circa 1948. That bike dominated races in the post-war era across the country and still races in vintage events. Looking back to that bike and devoting R&D into the FTR750 mean Indian is seriously back into racing.